Check out my other three HIIT Workouts. Each contains a quick video showing you the moves. Love these downloadables. I feel like I have new breath breathed into my workouts already. Was getting pretty sick of doing the same thing. Thank you! Thank you Serena! 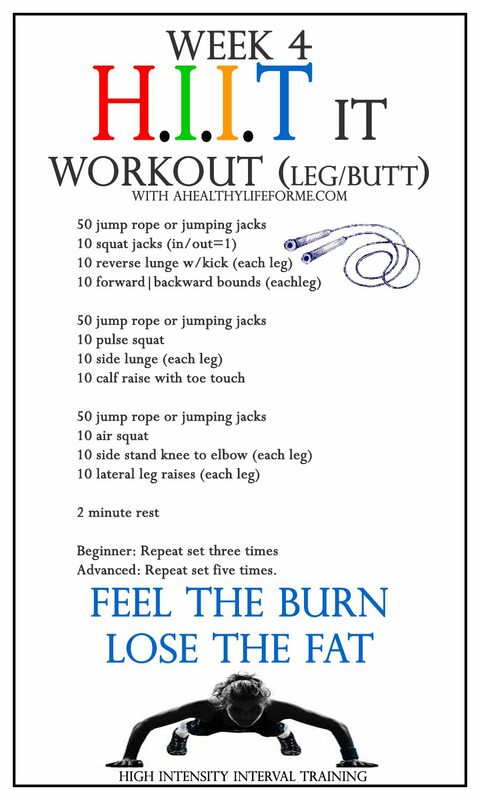 You will love the HIIT workouts, quick and tough, burning a lot of calories while building strength. How many days a weeks should each Workout be done? Everyday? Hi VC, It will depend on your health and fitness level. If you are healthy I would shoot for 3-4 days a week. I do a HIIT type workout at least 4 times a week. Hope this helps.